At DC Public Schools (DCPS), it is our goal to ensure that every student achieves academic success by being present at school every day and on time. 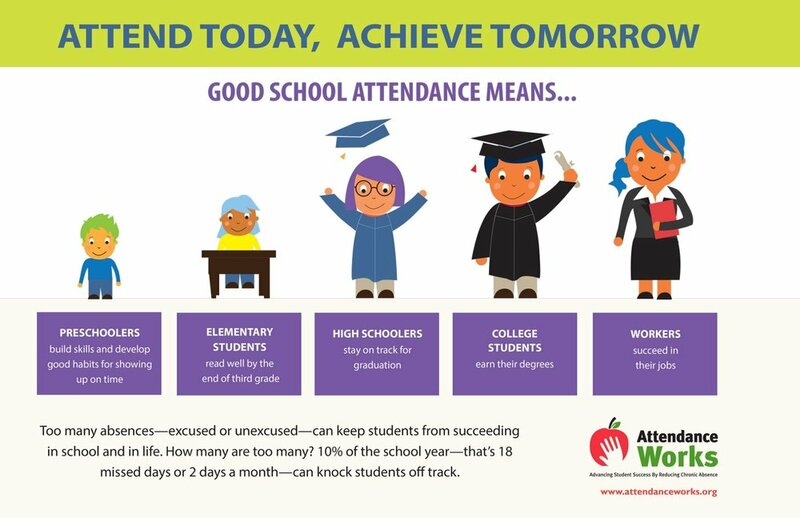 Students who have regular attendance learn more and are more successful in school. DCPS has shifted focus from monitoring only unexcused absences to all absences by tracking In-Seat Attendance (ISA). Some absences are unavoidable, but when children miss too much school – excused or unexcused – they can fall behind. If your Young King is absent or tardy, complete a DCPS Absence Excuse form so the absence or tardy is marked Excused. This step is very important to due with the new DCPS Grading Policy (pages 8, 10, & 15). Excused absences do not impact a student's grade the same way unexcused absences do. A missed day is a lost opportunity for learning. 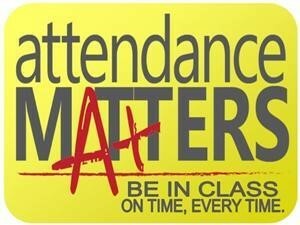 Let’s make regular attendance a priority! Yes, attending school is required by law! All students who reach five years of age on or before September 30th of the current school year must attend school every day until they meet high school graduation requirements or reach their 18th birthday. Truancy is the unexcused absence from school by a minor (5-17 years of age) with or without approval, parent knowledge or consent. Which Absences Are Excused vs. Unexcused? Excused absences are when school-aged students are absent from school with a valid excuse and parental approval. Absence excuse notes must be submitted within 5 school days in order to be processed. Click here for the DCPS Absence Excuse form. Unexcused absences are when school-aged students are absent from school without a valid excuse, without parental approval. Students who miss 20% of the day (2 class periods) will receive an absence for the full day. What is the Attendance Policy for Ron Brown? Ron Brown College Preparatory High School is a citywide high school. Our students follow the Districts Out-of-Boundary Policy. This policy states that K-12 out-of-boundary students with more than 10 unexcused absences or 20 unexcused tardies can be asked to return to their neighborhood school at the end of the school year, provided the out-of-boundary school has implemented and documented ALL of the required DCPS attendance interventions. What are attendance expectations for all students? · Arrive on time to school and to class every day. The school day at RBHS starts at 8:40 am. · Ask the teacher for missed work or make-up assignments. · Provide documentation for missed days of school to the Attendance Office within 5 business days. What should I do if I lack stable housing and need assistance?